Fun, Challenging and Bonding Experience! Very professional organization with great guides who truly wanted each person to have an incredible experience. 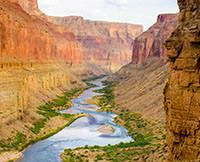 I would recommend Western River Expeditions for anyone thinking of going down the Grand Canyon.